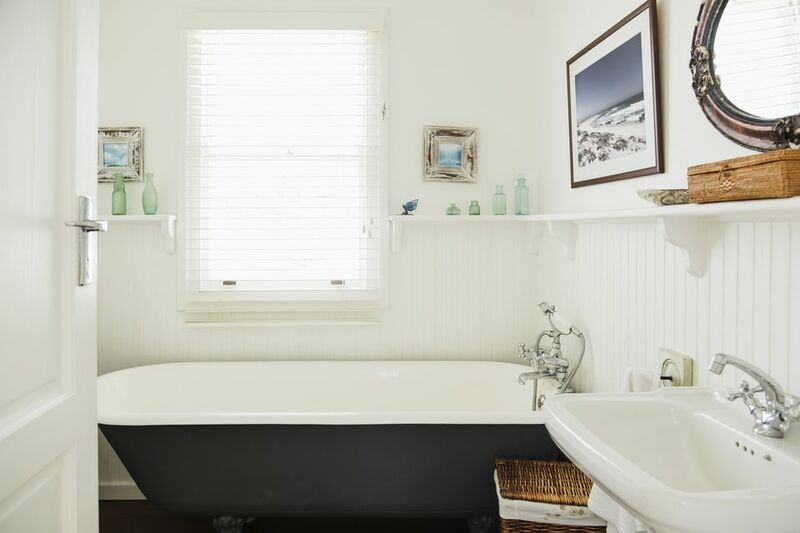 You may not have the perfect bathroom, but no matter how small, awkward, or unusual your space, you can always take steps to make it as clutter-free and functional as possible. And if you do have a fabulous bathroom and you’re not sure how to make the best use of it, there are even more options once you learn some organizing basics. Here’s all you need to know about how to organize your bathroom. The benefits of an organized bathroom go beyond aesthetics. Of course, a bathroom in which everything is stored neatly looks more attractive, but it’s also easier to use. When you need a Band-Aid or a cotton ball, you can find one; when you open a cabinet door, cleaning products don’t tumble out onto your rug. An organized bathroom is also more relaxing–compare a shower where shampoo bottles and soaps are constantly falling on your feet to a shower where all the products you need are neatly arranged and easy to access. If that’s not enough to convince you, an organized bathroom is more sanitary. Organizing a space makes it easier to keep clean, and regular decluttering gets rid of health hazards like ancient mascara and expired prescription medications. After you’ve gotten everything out of the bathroom that doesn’t belong there, then you can start organizing what’s left. Depending on the setup of your bathroom and what you already own, you may not need any new organizing or storage products. If your bathroom is lacking in storage options (e.g., if your sink has no storage space underneath, your counter is small or non-existent, or you have no closet or shelves), then you might need to go shopping. To determine what you’ll need, take stock of what sorts of items you want to store and organize. If you have a lot of bulky items like bath towels and extra paper goods, you might need a piece of furniture like a chest or shelving unit. For a budget option or an unusually shaped room, several large square baskets could work too. If you already have a place for the big stuff but struggle to corral lipsticks, hair elastics, and other small items, you need smaller containers that won’t take up too much room and will let you stash little things where you can easily reach them. Always shop for organizing products with a good understanding of your own needs and not a vague idea of what you think you “should” buy. If you’re inspired by a gorgeous bathroom on Pinterest but your own space is less luxurious, you can take the elements that work for you (e.g., the calming color scheme) and leave those that don’t. When looking for bathroom organizers, look for ones that will help maximize the space in your bathroom and reduce the time you spend rummaging in drawers and searching through closets. Bulky storage boxes with heavy lids, however nice they might look, are impractical. And always measure your bathroom carefully to make sure you’re not buying something that won’t fit in your space. Linen closets are one of the least favorite household spots to organize. There’s a lot of folding involved, a large and sometimes bizarre range of items to weed through, and, often, a shelf too high to deal with without a ladder. That said, organizing your linen closet can be easy. Then arrange everything so that the most used items are towards the front and center. Group smaller things in storage bins or boxes. Make towels easier to find by grouping them by size, color, or in sets, whichever makes sense for you. If you’re stuck for ideas, looking at beautifully organized linen closets can help. Showers and bathtubs can be tough to keep organized because they’re not always built with storage in mind (as anyone who’s ever had an old tub “modernized” with a shower head stuck on a pipe can attest). But keeping your shampoo, conditioner, razor, body scrub, and whatever else you need within easy reach is a must. Any organizers you use in the shower should be reliably stable; be wary of soap dishes that suction to the wall and towering caddies that claim to stand perfectly upright in the corner of the tub. And if your shower is packed full of products, consider streamlining your routine or at least storing rarely used items elsewhere. Keep as few things on your countertop as possible. For one thing, that makes the counter easier to wipe clean and for another, it reduces the chance of other items creeping in to join those already there. (Clutter tends to attract more clutter.) The appearance of a bare counter just looks better, too. But if you prefer everything to be visible or like to display your beauty products’ pretty packaging, that can work too–it just requires a bit more vigilance in keeping everything clean and neat. When organizing items on a counter, always keep them closest to where they are used. Hand soap, for example, should go right next to the sink. You might also like to have hand lotion there or whatever products you use to wash your face daily. As in the linen closet, keep less frequently used items towards the back or the side of the counter. Here are some handy tips for organizing your bathroom's cabinets, drawers, and vanity. If your bathroom has a medicine cabinet above the sink, reserve it for items you use most frequently, like daily medications, toothpaste, or eye drops. A medicine cabinet is a good location for items you use almost but not quite as often as the few things you keep right beside the sink. Of course, how much you store in a cabinet above the sink depends on its size; a small, old-fashioned cabinet will hold just essentials, while a spacious modern one can take the place of drawers or a large counter. Cabinets under the sink–if you have them–can be good for storing extras like toilet paper and toothpaste, though you should keep in mind that they often house pipes as well, and any drips can ruin paper products. These cabinets are always a good location for bottles of cleanser, sponges, and other cleaning supplies. 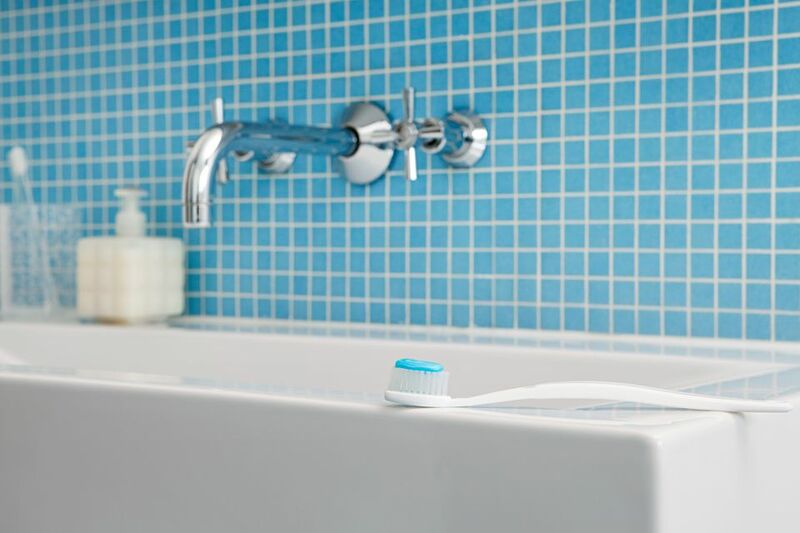 What you keep in your bathroom drawers is entirely up to you–and the number of drawers your bathroom has, of course. Just take care not to let them become junk drawers where random unclassified items go to die and remember that just because you have lots of drawers, it doesn’t mean you have to fill them. If you like the idea of a minimalist bathroom, go ahead and ignore the drawers. And if your bathroom lacks cabinets and drawers, think about how you can use vertical space–in the form of a shelving unit or floating shelves above the toilet or towel bar–to store necessities. If you have a vanity, you probably already have a good sense of what part of your morning routine you prefer to do there. Organize your makeup and skin and hair products as you realistically use them. If you consider moisturizing your face to be part of your shower routine, keep your moisturizer on the bathroom counter or in the medicine cabinet. If, however, moisturizer feels like a part of your makeup application, keep it with your foundation and eyeshadow on the vanity. Organize the tools that match the products along these lines too - e.g., makeup brushes with makeup, exfoliating gloves with body wash, and so on. Once you get your bathroom organized in a way that feels comfortable and works for you, it will be easy to keep it up. You do have to put it a bit of effort–return items to their proper place after using them, don’t let things that belong elsewhere accumulate in the bathroom, etc.–but this kind of maintenance is can be done as part of your daily routine or whenever you clean up. And because bathrooms are relatively small and easily divided into manageable areas like the shower and counter, it’s easy to organize any bathroom quickly.